Nokia : From "Golden Age" to "Oblivion"
Only a decade ago, if anyone had a mobile phone, it was probably a Nokia. The company that brought the actual revolution in the world. Whenever we used to boot a Nokia phone, big logo depicting a two hands meeting pops up over the screen along with an iconic welcome tune. That logo actually portrays the motto of Nokia that is connecting people slowly & steadily throughout the world and they did it right. In 1991, the Prime Minister of Finland made the first GSM call. In 1992, Nokia started to spread the business all over Australia and Europe. They launched their 2100 series phone and predicted to raise a sale of over 4 Lakh phones but instead the company sold 2 crore mobile handsets. The company was growing exponentially in terms of business and production. All of a sudden, the giant started collapsing like a sinking ship in the sea and it became difficult for it to rise again. In 2007, Steve Jobs took a phone out of his pocket and presented it to the world and described what an application based device can do. Ever since the fall was sudden, the market share of Nokia in FY 2007 was 49.4% and as of mid-2014, it has slumped to 2.3%. What could possibly the reason behind decline of market leader in less than a decade? Was it the company’s sheer ignorance or foolish pride? Nokia though was a pioneer of the market but the company lacked the vision and never considered their competitors as a real threat. Nokia could never see iPhone as a highly enticing gadget for the already saturating cellphone market and depicts a perfect example of pride before the fall. There’s an axiom that the most alarming time for a company is when it’s on its peak, because that’s when companies think nothing can touch them. This is how even the greatest becomes obsolete. 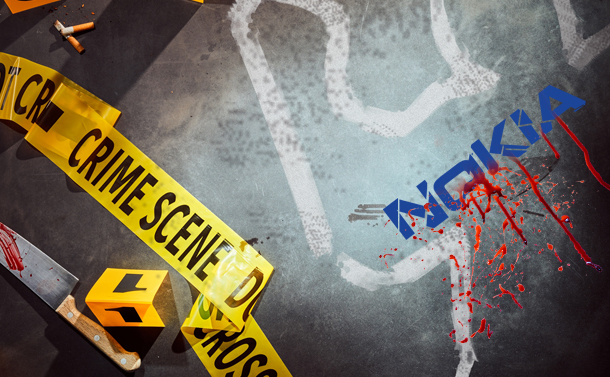 But, in my concern it was not Apple to be blamed behind Nokia’s downfall, it was Nokia itself. That lifts up another question in our mind. In 2006, Kallasvuo replaced Jorma Ollila as the CEO of the company. Though he was very much concerned for creating a developed and integrating environment in the workplace. He was considered an extremely temperamental person who is never ready to listen what he doesn’t want to hear. In order to gain throne over competency, he started to threaten the managers to fire them if they don’t match their quarterly targets. This threatening external environment impacted the entire chain from top managers to support staff that lead to a production of bad weed in the garden. Middle managers were aware of the need of a better operating system but feared of the top managers thinking that it won’t change anything. They were happy in meeting the deadlines to produce device operable over Symbian (Nokia’s operating system at that time), since they were comfortable in working with it. Thus, there was a lack of collaborative effort amongst the whole team which proved to be a major hindrance in development of competent product. Nokia’s Symbian was considered as the future of mobile tech. Before the coming of iPhone, it produced some of the tastiest handsets the world had ever seen. Top managers of the organizations were afraid because of the entrance of android & iOS devices. Plus, not meeting the quarterly targets, given Nokia’s high task and performance focus which affected how they treated middle managers. Though they have realized that they need better & compatible operating systems to match Android & Apple’s iOS. But were afraid to openly acknowledge inadequacy of Nokia’s Symbian. They knew it will take years to make new operating system, but had to keep the faith with Symbian. Due to fear of appearing defeatist to external investors, suppliers, and customers and thus losing them quickly. The era of Nokia was Device-centric but after 2007 it became more of Platform-centric or Application-centric. There was an utter requirement of innovation and reinvention for competing in this battle of digitalization. As a matter of fact, Nokia already developed a prototype of Touch Screen Phone in 2004/2005 but failed to launch because higher management thought it to be too risky and unfeasible. It is truly said that 5% strategy and 95% execution is must for success and Nokia clearly lagged behind in terms of execution. Due to inability to match the target revenues, top managers asked to develop touch screen phones with Symbian only, since it would take a hell lot of time to develop a entirely new operating system that eventually mired their hardware capabilities, unlike Apple. At last what all swept on the hopes of Nokia was deficiency of proper allocation of resources which led to delays of the products to be launched in the market. In 2011, the new CEO Stephen Elop decided to buy the Operating System from elsewhere and collaborated with Microsoft in 2011, this move made Microsoft to acquire Nokia’s entire business in 2013. In 2016, Microsoft sold the Nokia branded feature phone to HMD Global, so under the new owner Nokia is planning to make a comeback into the market. The company is planning on banking the young customers and use the brand’s solid reputation to emerge itself back onto the leaderboard. They launched four Android based phones exclusively on Amazon and it raised an outstripping supply. Why Android instead of Windows? The company realized that it is a consumer-based era and they have to build what is in demand currently. 85% of market share is owned by Android and it is the operating system which is endorsed by consumers itself. The Company is planning to offer pricings between 9000-15000 and continuing the company’s legacy, the product will be having a strong design and artistry with pure Android. Fear is sometimes healthy for motivation but can prove to be fatal if used indiscriminately. It is vital for the leaders to develop emotional capability in the organization and accommodate themselves to varied emotions of collective to maintain the internal coordination. In order to survive in this competitive world environment, no matter how old a company is, it must reinvent itself to avoid these rowdy threats to their future.